- Resolves an issue introduced in Logic 9.1.2 where Logic might quit unexpectedly when opening if the Native Instruments Kontakt 4 Memory Server was already open. - Resolves an issue introduced in Logic 9.1.2 where the Pedalboard stompboxes "Classic Wah" and "Modern Wah" sometimes stopped responding to mouse input. - Logic will no longer stop responding during launch if the TouchOSC Control Surface plug-in is being used and the utility application from Objective Development called Little Snitch is configured to deny network access to Logic. 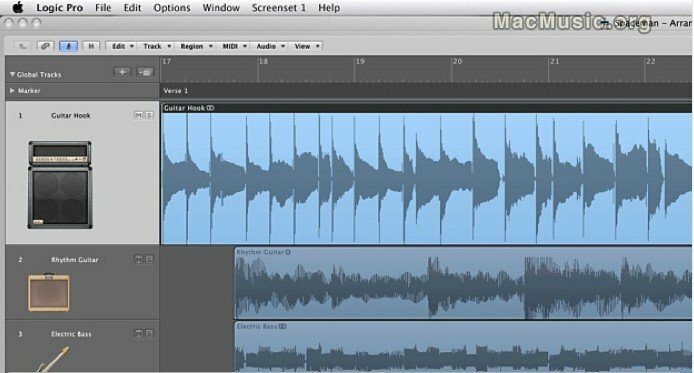 - Resolves an issue in Logic 9.1.2 that caused Logic to open fewer audio processing threads on i7 Quad-core Mac computers than it did in 9.1.1. - Resolves an issue in Logic 9.1.2 where flattening and merging a Take Folder could result in an empty audio region if another track was soloed during the operation.